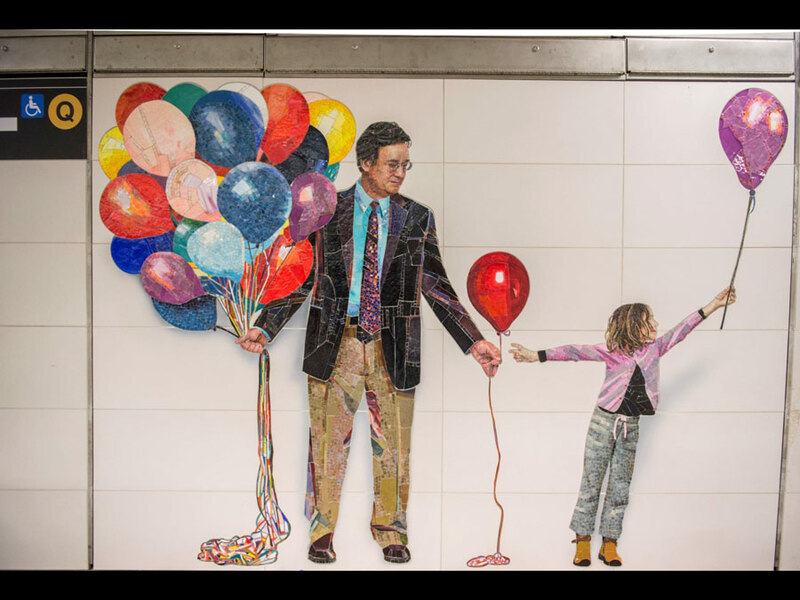 Today Governor Andrew Cuomo, as part of his state infrastructure PR sweep, presided over the unveiling of new artwork in the Second Avenue Subway. 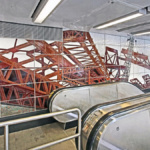 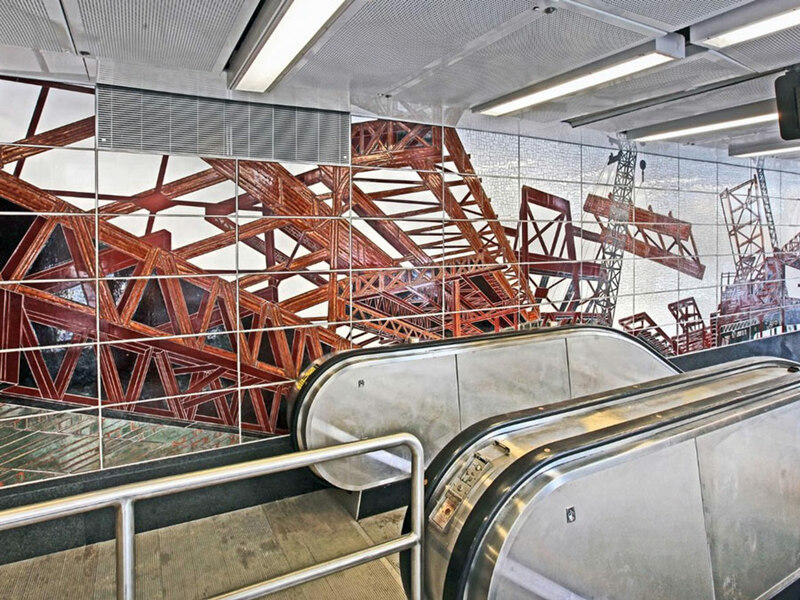 The artwork at four stations together comprise the largest permanent public installation in the state. 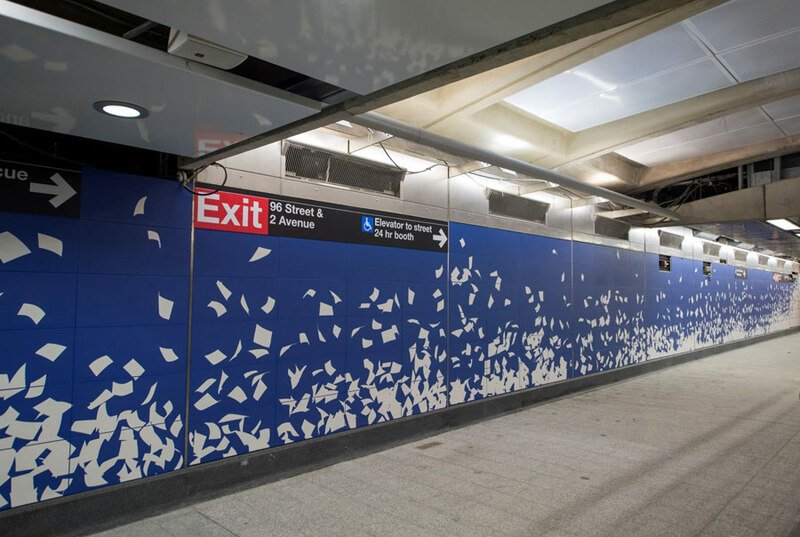 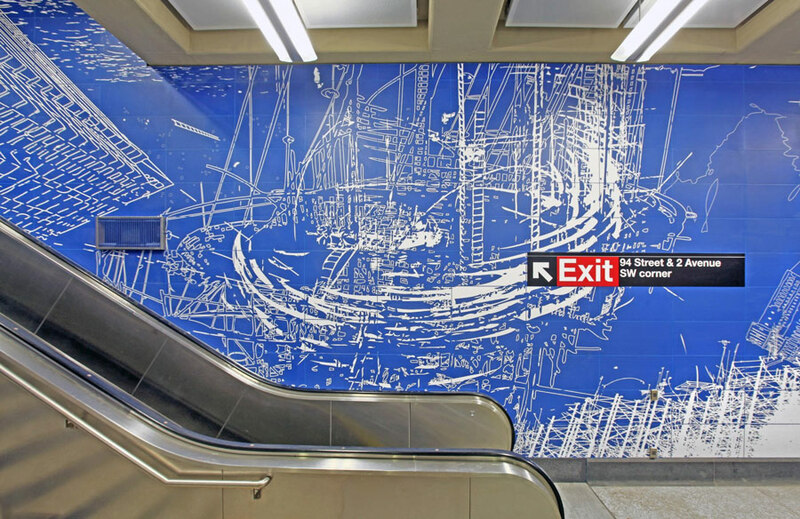 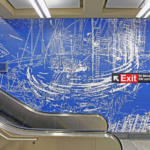 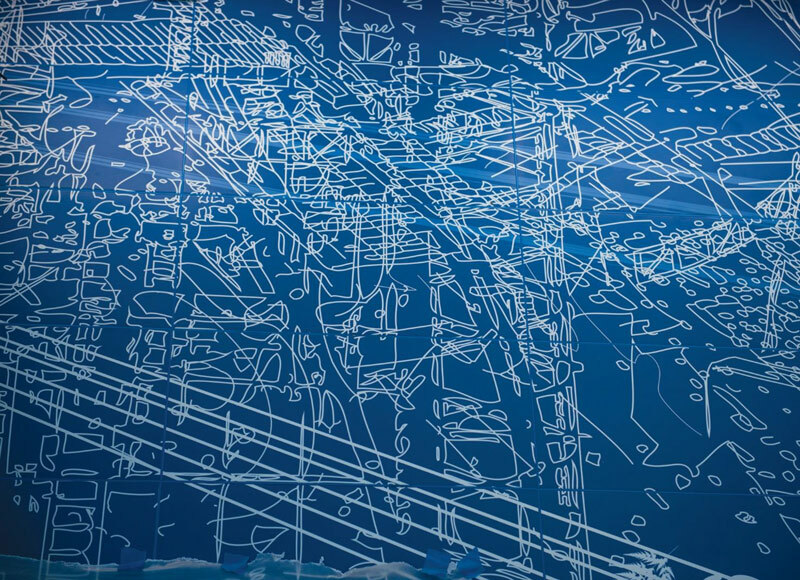 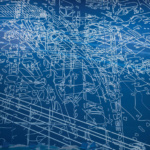 At 96th Street, straphangers can soak in Sarah Sze’s “Blueprint for a Landscape,” a 4,300-tile mosaic that depicts animals and everyday objects caught in a fierce wind. 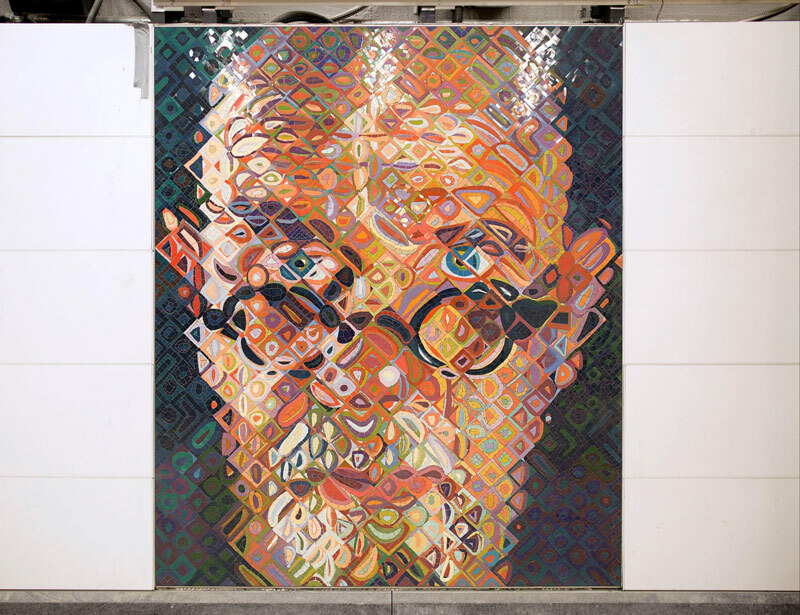 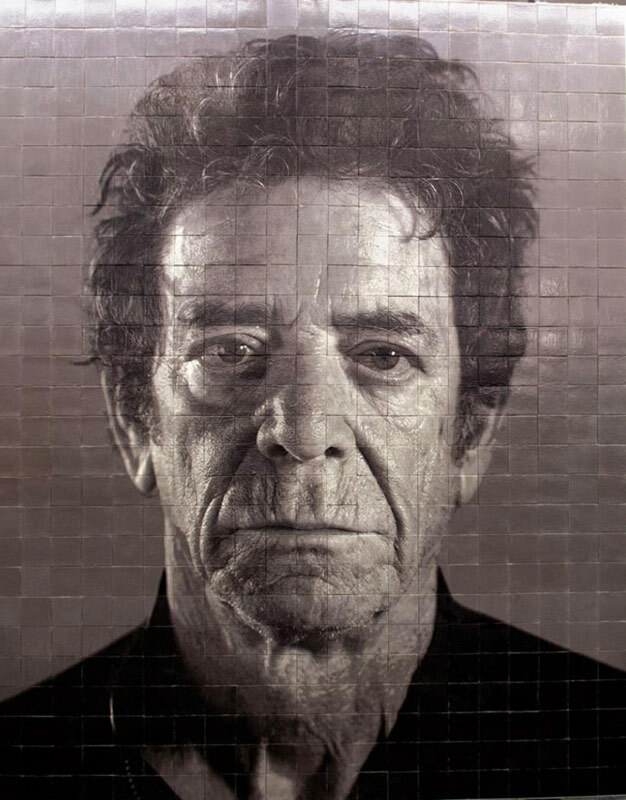 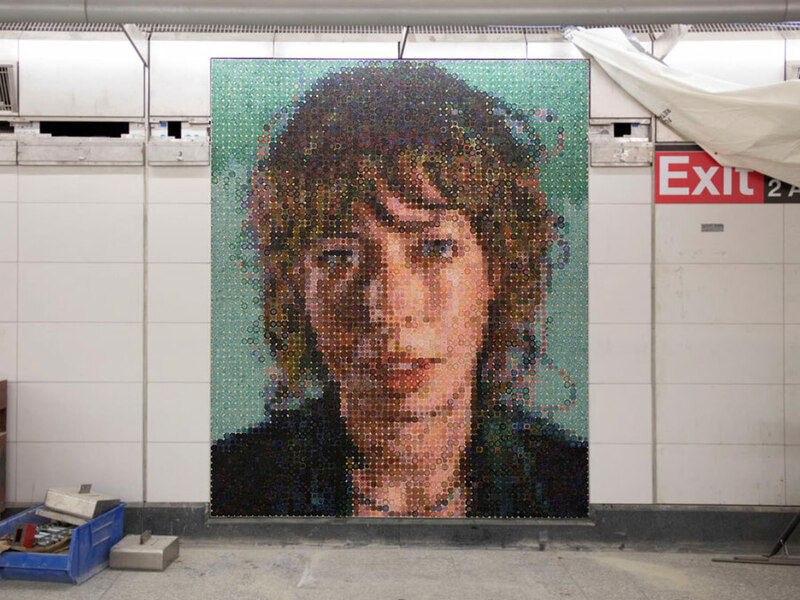 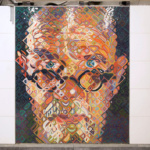 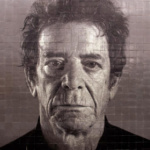 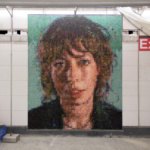 Further downtown, face master Chuck Close created “Subway Portraits,” 12 massive likenesses of himself, Philip Glass, Zhang Huan, Kara Walker, Alex Katz, and others at 86th Street in the artist’s signature style. 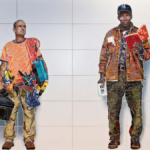 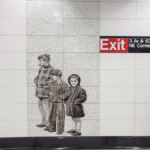 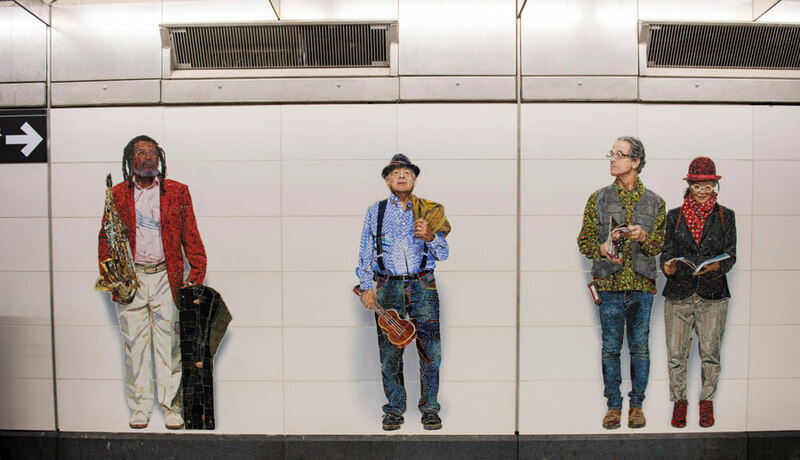 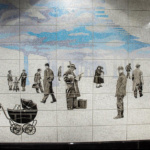 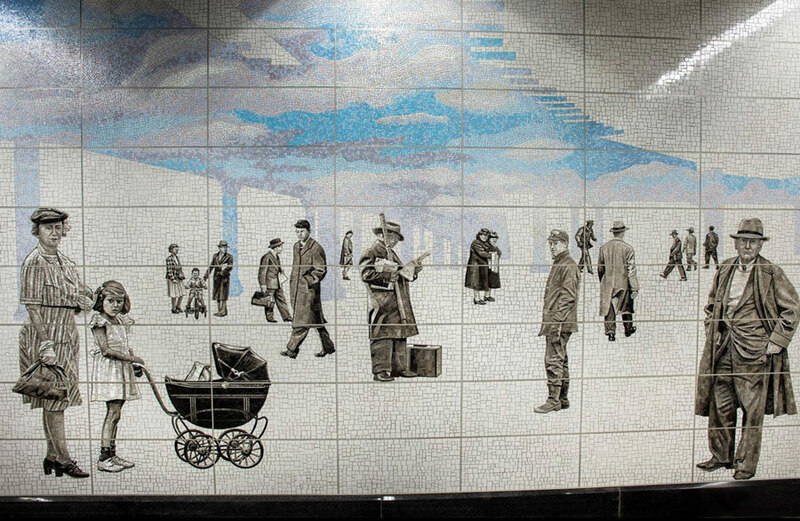 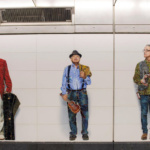 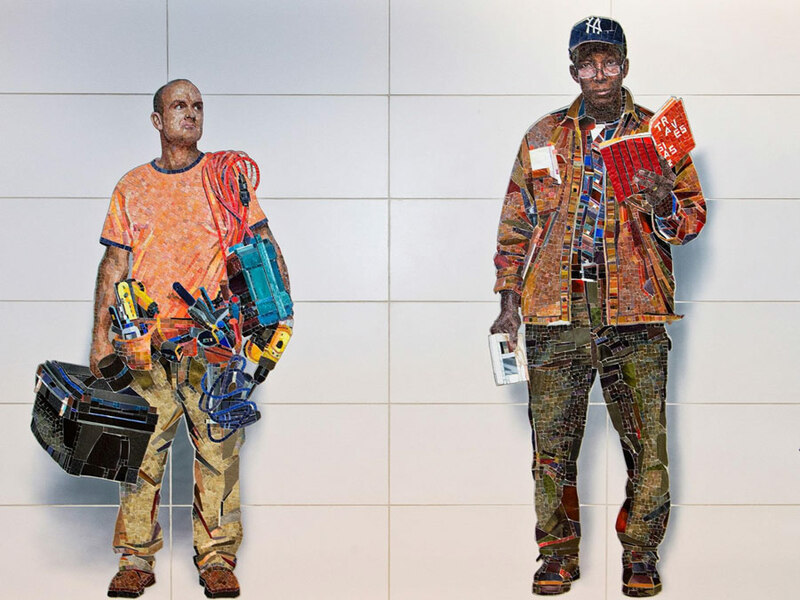 Vik Muniz’s “Perfect Strangers” at 72nd Street features tiled New Yorkers from all walks of life, while Jean Shin’s 63rd Street “Elevated” revives the steel-beam infrastructure from archival photos of the 2nd and 3rd Avenue Elevated train in ceramic and glass. 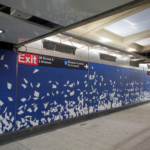 Phase One of the Second Avenue Subway should, Cuomo assured, open on January 1. 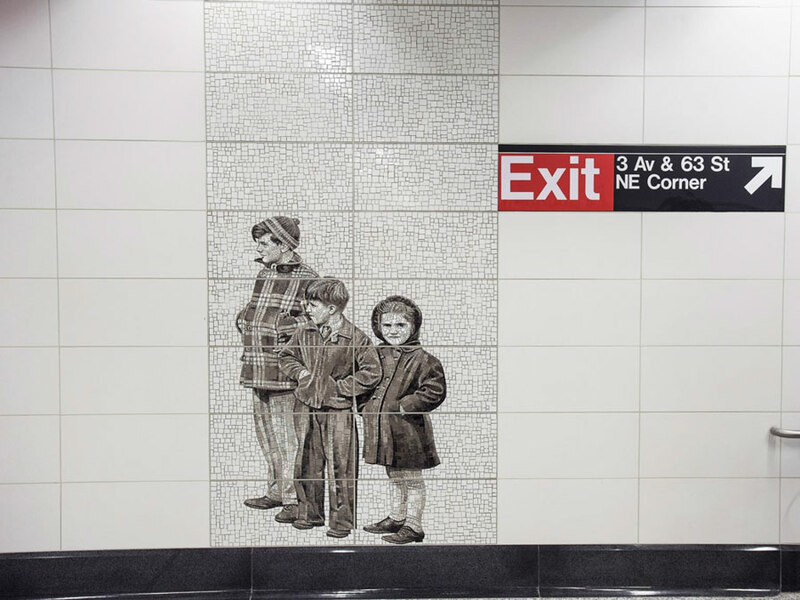 The newest leg of the New York City subway system will serve more than 200,000 passengers per day. 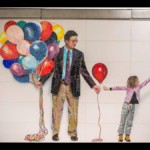 Until then, check out the gallery above for more images of the city’s newest art.